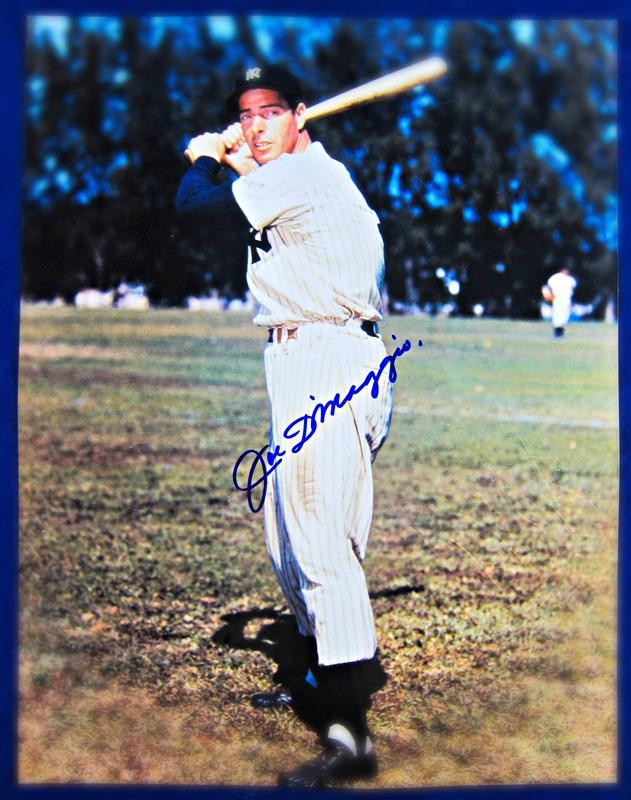 This color photo is a 11″x14″ in size comes signed in blue sharpie by the Hall of Fame member, Joe DiMaggio. The picture shows the legend batting at a practice game. The piece comes with letter of authenticity from Joe DiMaggio Estate.